Villanelles fans have been waiting for the band's next full-length album, Blue Heart Attack, for about four years now. In that time, the Burlington quartet has teased with the occasional single release and the even more occasional leaking of album details. As of March, the word from front man Tristan Baribeau was that the album was finished and slated for a fall release — on vinyl, no less. But as winter looms nearer, the album has yet to materialize. Instead, the band has pulled a fast one, this week releasing an EP of new material called No Drinks on Me. Cut to confused fans and music journalists crying out in unison, "WTF, Villanelles?!" The five-song EP was recorded earlier this year at Rebel Yell, the Northeast Kingdom recording studio/artists' retreat owned and operated by the folks behind Burlington studio/rock club Signal Kitchen. It's also available exclusively as a download through SK's Soundcloud page, which marks a new experiment for the ever-industrious studio as a pseudo-label. As for Blue Heart Attack, it is likely to be released next year on local imprint Future Fields. In the meantime, No Drinks is more than adequate consolation for those pining for a new Villanelles full-length. On their 2011 EP, Kiss My Grits, Villanelles ratcheted up the rock, delivering a far louder and more muscular sound than the hazy, soft-hued tones from their 2010 self-titled debut. While we won't know in which direction the band will veer on Blue Heart Attack — which, technically speaking, is the natural follow-up to Grits — on No Drinks the band splits the difference. The EP's four originals — plus a cover of "Sick" by Supergrass — are contemplative and wandering, punctuated with flurries of indie-rock bombast and shaded by Baribeau's wry wordplay. Opener "Astronaut" builds on a moody staccato riff over which Baribeau promises, in his sweet, earnest tenor, "I will always be your astronaut / If you'll always be my moon." Then the band launches into orbit with driving guitars and drums flecked with a twinkling lead guitar riff. "Personal Clubhouse" is a bottom-heavy, Pixies-ish head-bobber that harks, in both style and tone, to mid-1990s alt-rock. The title track moseys and meanders as the band's signature indie jangle morphs into a reggae-ish lilt colored with chiming organ and blooming vocal harmonies. "I'm dumb and jaded / I can't stop thinkin' about the end of the line," Baribeau confesses against a shifting backdrop of shimmering guitars. The EP closes on "Bedroom Rug," which sails into smooth yacht rock as the band stretches out gently over seven breezy minutes. It's hard to say that No Drinks on Me was worth the wait, only because we didn't know we were waiting for it. Still, packed with surprises and typical Villanelles-styled sonic chicanery, the EP marks the welcome return of one of Burlington's most beloved, if elusive, bands. 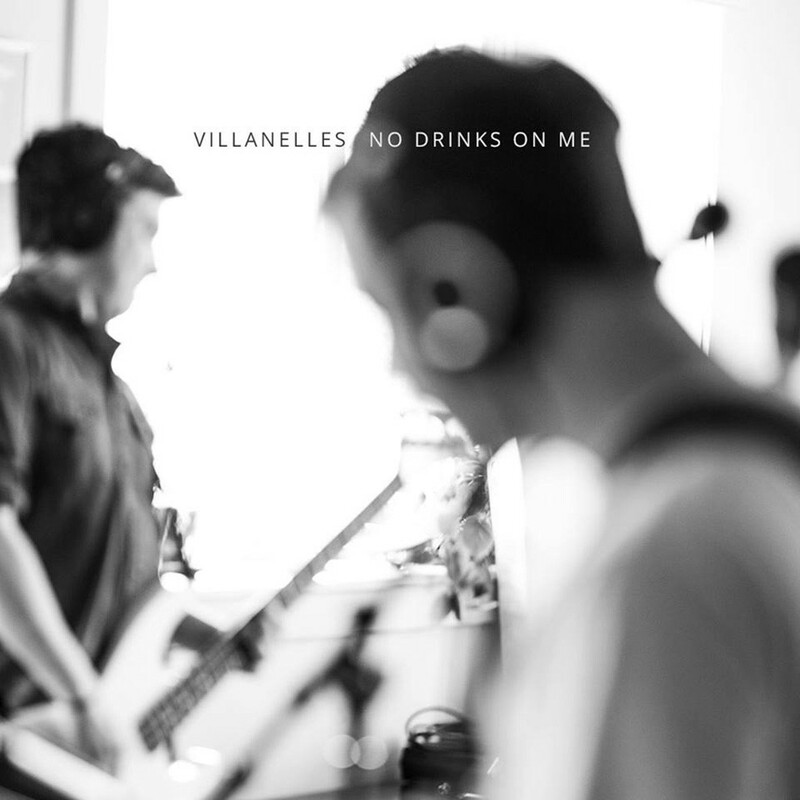 No Drinks on Me by Villanelles is available at soundcloud.com/signalkitchen. The band plays an EP release show at Signal Kitchen in Burlington this Friday, November 20.